Your patients’ well-being always comes first – this not only applies to oral health, but also to medical emergencies in your dental office. To make sure you and your dental team are ready for any health issues that may arise, take advantage of our dental medical emergency training program. Whether your patient has a seizure, allergic reaction, or another instance that requires immediate care, this kit is your go-to staff training guide. 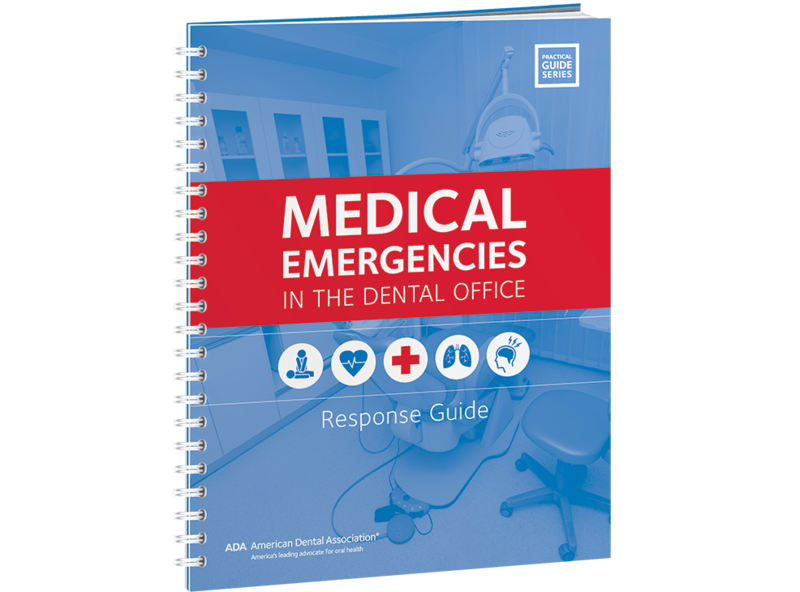 Featuring both a printed guide and training videos, Medical Emergencies in the Dental Office helps you prepare for, identify, and manage potential medical emergencies as they occur. Includes three CE credits. You never know when a medical emergency may arise, and Medical Emergencies in the Dental Office prepares you to assist your patients in a variety of situations. With this dental medical emergency kit, you’ll receive step-by-step guidance for 13 specific emergencies. To help you manage each scenario, the included guide and videos detail the recommended supplies, staff responsibilities and other emergency basics. Preparing for medical emergencies ensures your dental patients are in good hands, and this kit has everything you need to keep your team ready. Gain the knowledge needed to handle emergencies – order your own Medical Emergencies in the Dental Office kit today.